Accidents can happen to anyone and the thing that could save your life can be in a first aid kit. You must have one at your home, in the car, and at the office. Who needs a first aid kit? Everybody. It does not matter if you have children or not, or if you spend time outdoors. Accidents can happen to anyone and the thing that could save your life can be in a first aid kit. You must have one at your home, in the car, and at the office. 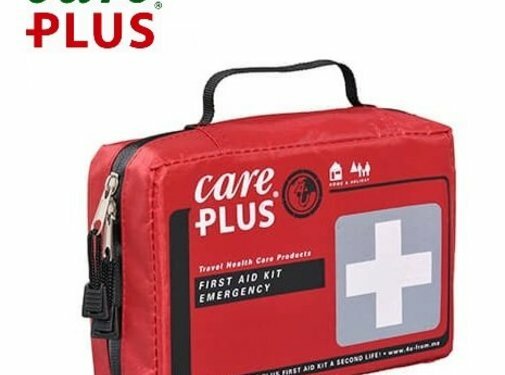 The Care Plus First Aid Kit Adventurer has been specially developed for people who travel to areas where hygiene is not at the top of the list of priorities. The Adventurer first aid kit has several disposable needles, infusion needles and also a syringe. By using this Care Plus O.R.S. Scoop, you will get the optimal dose of sugar and salt inside your container. Your ideal partner during outdoor activities is the BonQ Emergency Blanket. 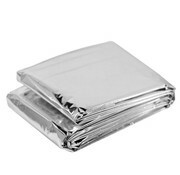 This emergency blanket has good insulation and heats your body in order to avoid hypothermia. 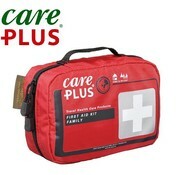 The Care Plus Walker light first aid kit is a compact first aid kit that is perfect for your needs every day. 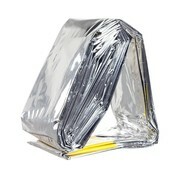 The small size fits this first aid kit in your handbag or backpack and you are always prepared for minor injuries. 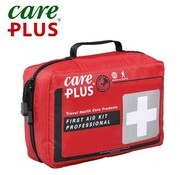 Care Plus introduces Care Plus Emergency First Aid Kit with a very extensive set of bandages and first aid materials. 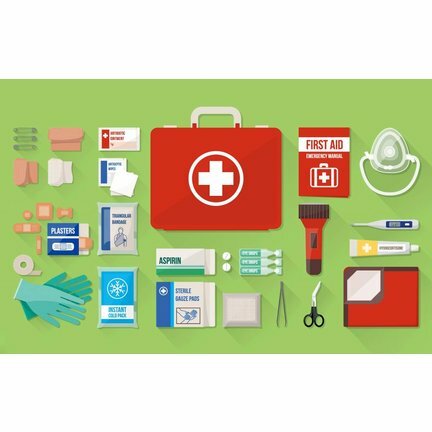 With this set, you always have the most important first aid materials with you. Going outdoors? Always take the Fosco Emergency sleeping bag with you. You might like the outdoors too much and decide to stay the night. With this emergency sleeping bag, you will be comfortably warm all through the night. When going to hot or humid places, it is not uncommon to have an upset stomach. In this case, you will need the Care Plus O.R.S. Electrolyte in order to avoid dehydration. All you have to do is let the bag dissolve in water and drink it.